David McCallum is an acupuncturist, healer and medical massage therapist who loves to teach his patients the wisdom of Traditional Chinese Medicine. 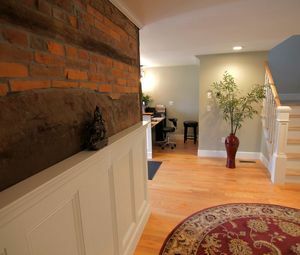 He has been practicing holistic healing methods in the Connecticut area for more than 20 years. He graduated from the prestigious Nanjing University of Traditional Chinese Medicine in China, one of only a handful of American students to achieve this honor. David has developed a unique and effective style of clinical practice after studying deeply with several Chinese masters, combined with his extensive experience treating the difficult problems his patients face. My clinical approach is modeled after some of the most effective doctors ever recorded in history, the sage doctors of ancient China. At the young age of 15 David had a terrible accident that almost left him paralyzed from the waist down. That's when he discovered he had the ability to heal, and recovered himself... without the use of drugs or surgery. This profoundly inspired him to explore alternative medical approaches and to learn about mind-body medicine. He discovered his mission in life, to help others realize their own power to heal. One of my greatest joys is to witness the transformation of sickness to health. I am constantly humbled by the amazing power you have to heal. When most teenagers were just starting to look at what they wanted to do in life or what they want to study in school, David knew. He was the youngest graduate of the Connecticut School for Massage Therapy at the age of eighteen. For the next several years he immersed himself in understanding how the physical structure holds pain, injury and stress. He broadened his knowledge by mastering several advanced body therapies, including myofascial release, neuro-muscular, sotai, tuina, cranial-sacral therapy and other clinical manual therapies. David developed a deep interest in understanding the body, and continued with his studies at the University of Connecticut in the area of physiology and neurobiology. David was already successfully working with patients in a rehab-physical therapy setting for almost a decade, when another disaster struck. He was in a car accident that broke bones in his wrist and once again he had to overcome his injuries. The trauma caused him to refocus, deepen his meditation practice and look for more answers. He knew there must be better and more efficient ways to leverage healing. He was not going to give up his career because of an injury. That's when he discovered Acupuncture and Chinese Medicine. Of all of the medical traditions in the world today, I know Classical Chinese Medicine is the most comprehensive. It supports the whole person, provides amazing treatments and leverages your ability to heal. It is definitely NOT just symptom management. David knew if he wanted to learn Acupuncture he should learn from the best. There are some amazing schools in the USA, but he went to the birthplace of the art... mainland China. He completed his professional acupuncture education by graduating from the prestigious Nanjing University of TCM in China. As a consummate learner, David actively continues to expand his knowledge of traditional approaches to health. His deep fascination with the mind and his practical nature allows him to effectively teach the principles of Chinese medical wisdom with ease to his patients. 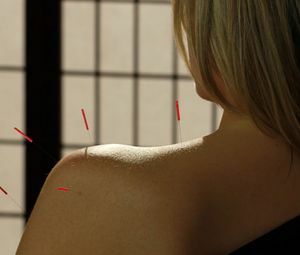 In the years following his study in China, David used his deep understanding of the body's fascial system and classical acupuncture to create unique treatment procedures designed for resolving chronic physical pain, injury and stress. Today he embodies the classical Chinese medical approach to health and follows a path that has been lost in modern times. 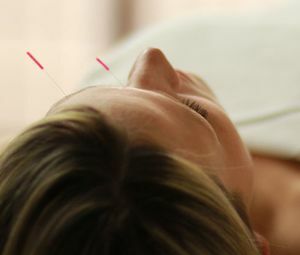 His treatment strategies are modeled after the classical Chinese sage doctors, more often than not, incorporating several modalities in a single treatment. David truly knows you have the power to heal. This comes through in his treatments and in approaches to health. He works compassionately and comprehensively to help you understand the nature of your illness and how to get better in the absolute quickest time possible.